We have no idea whether the issues between the Gulf States and Qatar will escalate. But, Qatar has no means of retaliation to the pressure and; relies on imported food, has an 85% immigrant population and needs the export hard currency from natural gas etc. It is more than likely that this will blow over quickly and that Qatar will acquiesce to the demands of its neighbors, allowing normal relations to recover quickly. However, if relations are not restored quickly, especially if Iran comes to Qatar’s aid, then we have a couple of significant possible outcomes – both important for US ethylene and polyethylene producers. Qatar is a major exporter of LNG – if the country is prevented from exporting this would tighten the LNG markets – likely raising prices for importing countries and lowering their competitiveness relative to the US. Qatar is a major player in the traded polyethylene market accounting for as much as 12% of international trade in Low Density Polyethylene and more than 7% of High Density Polyethylene, Qatar also produces Linear Low Density, but is less relevant. None of the polyethylene markets is oversupplied today – although consensus is that they will become oversupplied by year end because of US start-ups. This is not a view we share and the improved global economic forecast by the OECD this morning helps support our view that polyethylene is growing fast enough to absorb the new capacity quickly. An outage from Qatar could have more of an emotional than physical impact on the market initially, resulting in a greater physical impact. Concern over supply in major importing countries like China could lead to pre-buying to increase inventories – pushing up both apparent demand a possibly pricing. 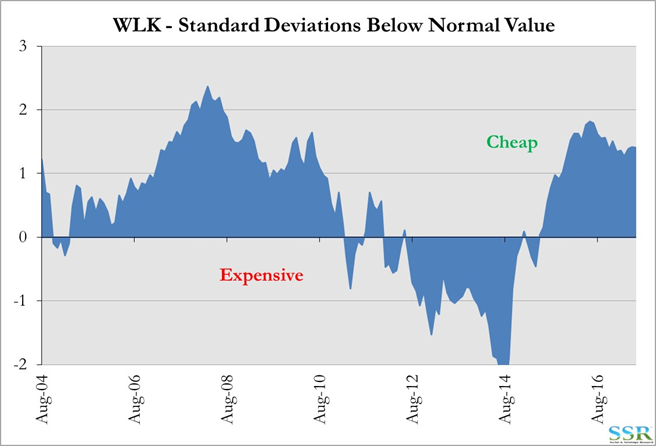 Today there does not appear to be as supply disruption, but the increased level of uncertainty may be enough on its own cause some strategic inventory additions. 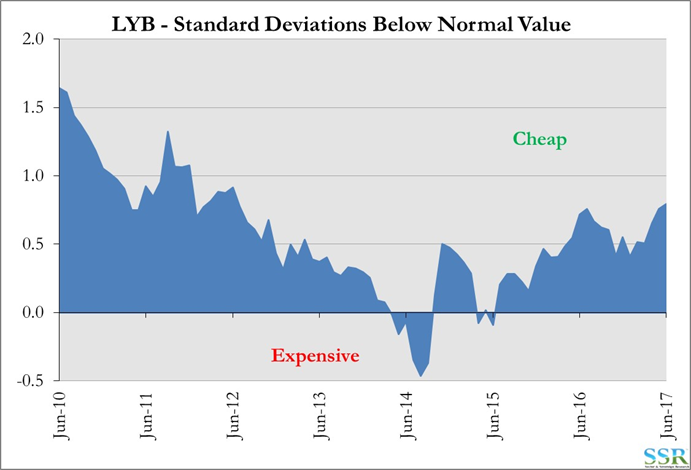 LYB and WLK are the most levered to the HDPE and LDPE markets – both stocks look extremely cheap to us, even assuming some sort of earnings trough in 2018.